There are many issues that President Trump can solve. His first great accomplishment was solving the election. Almost all conservatives adopted a thank-God-it’s-not-Hillary approach to the Trump presidency. There was a general sigh of relief over a bullet dodged. As time passes, the administration now stands on its own merits beyond being not-Hillary. In this respect, President Trump’s economic policies have helped expand the economy. His pro-life stances have been encouraging. His choices for justices are significantly improving the makeup of the Supreme Court. While there are many good things to celebrate, there are also those things that President Trump cannot solve. And these issues are tearing the nation apart. It should be stressed that this is not the president’s fault. His actions can influence these issues but not fix them. His efforts may improve the situation but not solve it. Government action or legislation alone is not sufficient to change things. These are festering matters left unsettled for decades that are now coming due. Perhaps the best way to describe the situation is to say that there is a generalized moral rottenness that permeates all of society. It has found its way into every political current, social class, and institution. It corrodes every type of relationship and dealing. Everyone senses it. It wounds and lacerates the hearts of many who see this moral rot in youth, their children, marriages, and the general tone of life. Ask anyone, and each will have a story to tell of this breakdown. It comes as no surprise since the nation’s moral decline has long been acknowledged especially since the sixties. However, what is new about this moral decay is its present phase. A process of deterioration can take decades or generations before things collapse. For many years, a decaying house, for example, might appear sound to the superficial observer and then suddenly come crashing down. When that happens, all the ordering structures collapse and turn against themselves. The falling beams that once provided support now become agents of destruction. Inside a collapsing building, trust is broken. Hatreds and resentments arise as each frantically blames the other for the disaster. The whole cooperative framework breaks down. Processes of deterioration still follow the logic of the structures they undermine. At least they maintain the same form. However, when collapse takes place, things follow no logic. There is no form, and everything becomes much more complex and unpredictable. This collapse is now happening in America. Not to be overdramatic, there are still some structures in place, especially economic ones, that survive. However, even these remnants are ticking time bombs corroded by debt, fevered speculation, overregulation and bad economic policy. In many other fields, the deterioration phase is ending, and the collapse phase has begun. Things are falling down, fragmenting and coming apart—and there is little the president can do about it. This moral rottenness is mainly found in the social sphere. This is amply documented by many sociologists who study the collapse of society. People’s lives are shattered by an unbridled culture of intemperance in which people want everything, instantly and effortlessly. Thus, individuals, who should integrate themselves into society, seek only their gratification. When their individual lives collapse, they are like drug addicts who turn against their best interests and those of society. They become agents of their own destruction. As a result, things are collapsing around us. There is an epidemic of loneliness affecting tens of millions. One-fifth of the adult population suffers from some form of mental illness. Some 45,000 Americans take their lives annually. A similar thing is happening with the intense sexual instinct God gave the human race to form the families that should make up an ordered society. These constructive impulses have become destructive in the form of an alphabet of “genders” that are exploding notions of reality, identity, law, and community. The family, which should be the basic building block of society, is likewise unraveling and turning against itself. It is often a place of abuse, violence, divorce, and abortion. So it is with many institutions, manners, and relationships that once were part of liberal society. The extent of the corruption is coming to light in the Weinsteinization of all things rotten in business, government, academia, and Hollywood. Social institutions are hollowed out and cannot bring about the needed changes. Liberal courts and secularist ideologies do everything possible to deny government any morality-building role it could have. 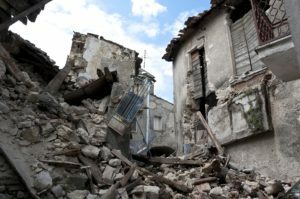 The crisis extends to rotten elements in the Church and religious communities that usually would serve as crucial ordering agents in times of crisis. This putrefaction has also entered the political process and thrown it into convulsions. It affects all political currents, in differing degrees. Politics, which should be directed toward the organizing of society for the common good, has turned upon itself within a polarized climate where all is sensational, shallow, and fake. The post-war political order is in a meltdown. Thus, the things that President Trump can solve should be recognized. These involve those fields in which common sense might still prevail. The accomplishments in these areas (and they are not small) should be applauded. These efforts are essential and must be pursued with all vigor. 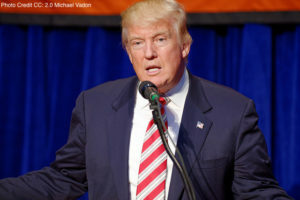 However, it is unfair to hold President Trump accountable for the things he cannot solve, which are the result of lengthy processes of moral rottenness that have now reached a point of collapse. His action might retard or mitigate the fragmentation, but nothing can be reconstructed from rot. A society in a state of moral rot cannot be rebuilt, reversed or restored with the external means of money, jobs, government programs or executive orders. Even renewed economic growth will not long endure in this climate of rot and acrimony. The only way to fight moral rottenness is with moral regeneration. Moral regenerations involve organic internal processes whereby people realize the need to reform their lives in accordance with moral law and principles. They usually happen during times of collapse, not in periods of decay. The circumstances compel people to act since there often is no other alternative. Unfortunately, there is so little to work with today. The shortcomings of institutions, even the Church, have never been greater. These would be the normal catalysts to lead a moral regeneration. Likewise, a culture of unrestraint keeps people from thinking of the present crisis correctly. The idea of sin, repentance and conversion is foreign to this frenzied society. Few in leadership positions, whether it be government, academia, or industry, speak in terms of calling upon God’s mercy. However, some factors favor regeneration. There are still many Americans scattered through the nation who see the present crisis and are saddened. 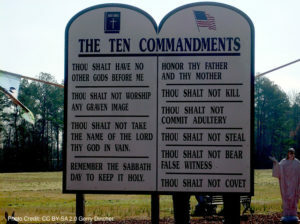 These Americans grieve for the sins of the country; they pray and act, working toward a restoration of the moral law, so well expressed by the Ten Commandments. 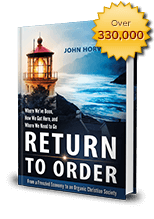 They desire an explicit return to God without whom nothing might be done. The continued actions of these individuals are crucial because they attract blessings upon the land. Moral regenerations rely upon the work of God’s grace upon souls. Grace multiplies the capacity and efficacy of any action, no matter how small, and makes regeneration possible. Those who fight for America in this manner can also confide in the fact that God will not despise humble and contrite hearts. What usually sparks moral regenerations is some kind of reckoning in times of collapse and ruin. Like it or not, America will face a moral reckoning to set things right. Everyone senses the need for it to happen. It will be a crisis that will unify the nation, galvanizing it to see things in a different light. Indeed, the times call for the perspective of Our Lady of Fatima who, in 1917, spoke of these things and offered solutions that can no longer be ignored. This entry was posted in Featured and tagged loneliness, morality, rotten culture, social, society, Ten Commandments, Trump by John Horvat II. Bookmark the permalink.